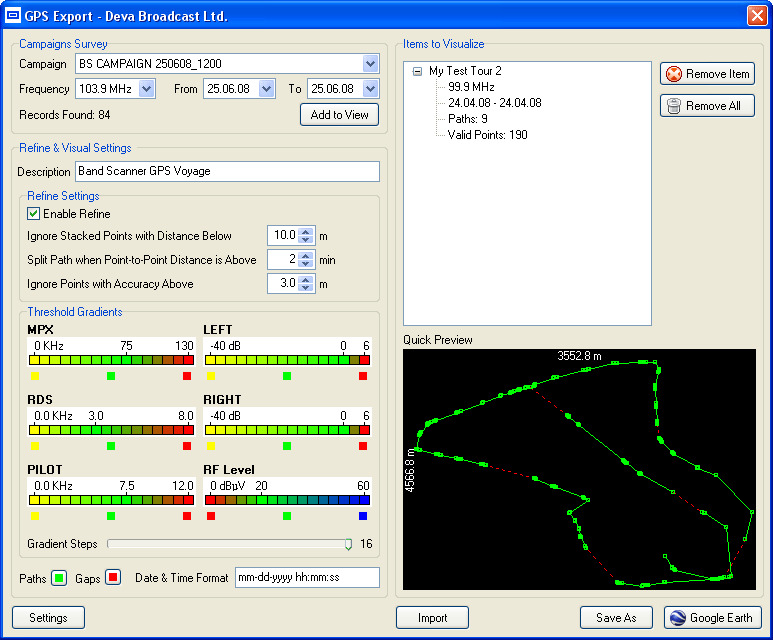 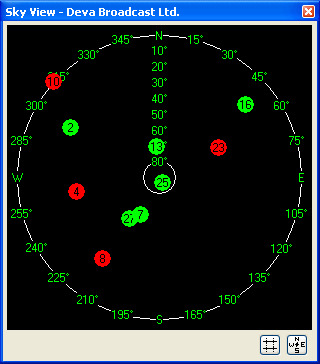 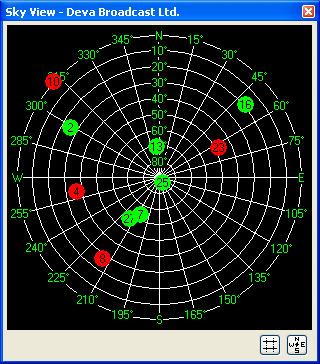 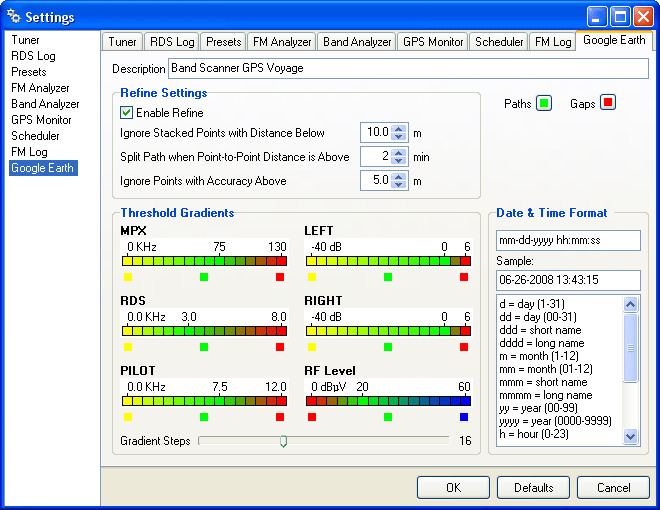 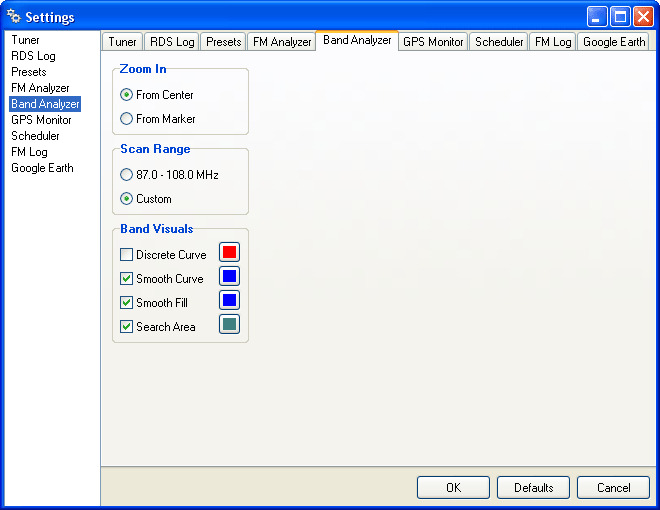 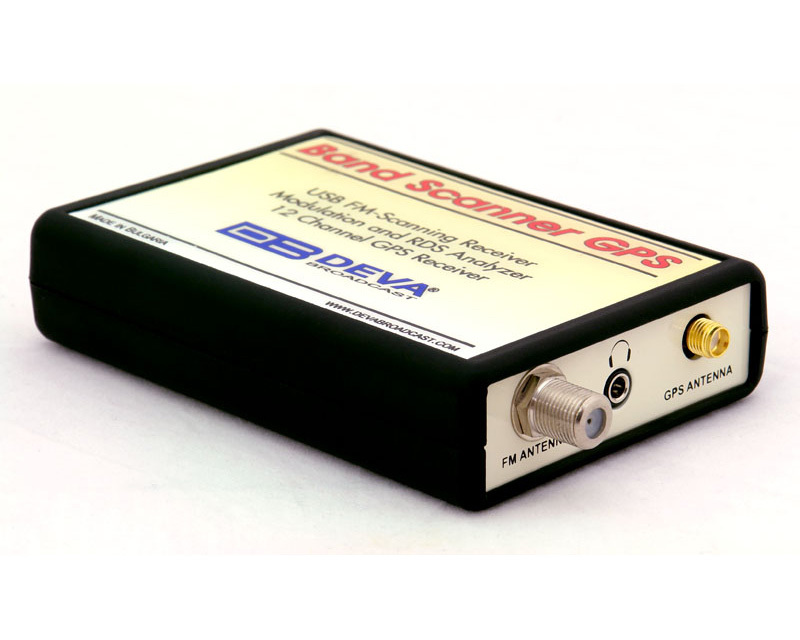 Band Scanner GPS - This is a tool to evaluate FM broadcast band congestion and to log station identification parameters. 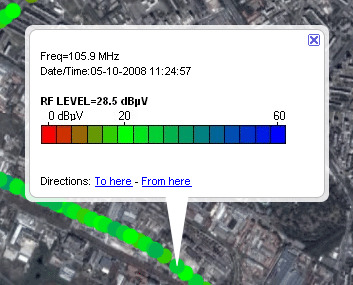 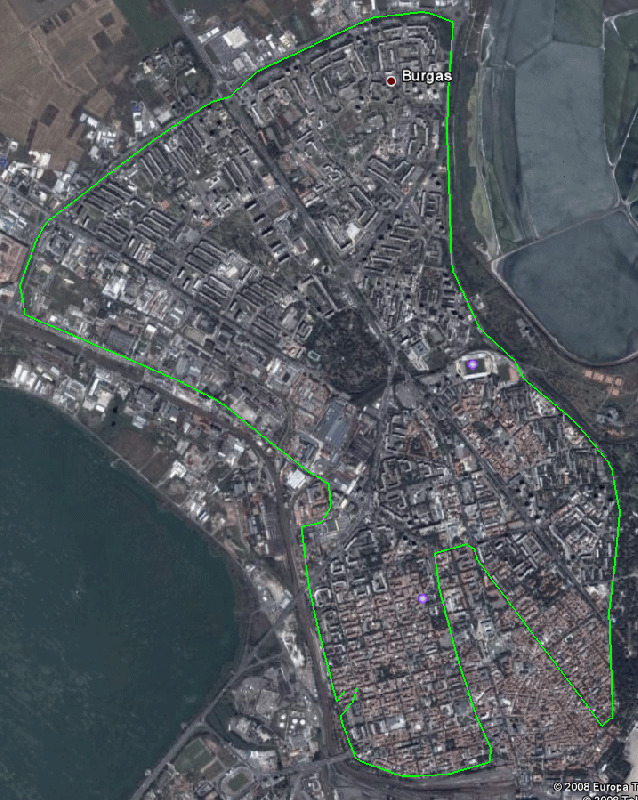 "BS GPS" is a Google Earth compatible tool for visualisation of collected FM Radio measurements. 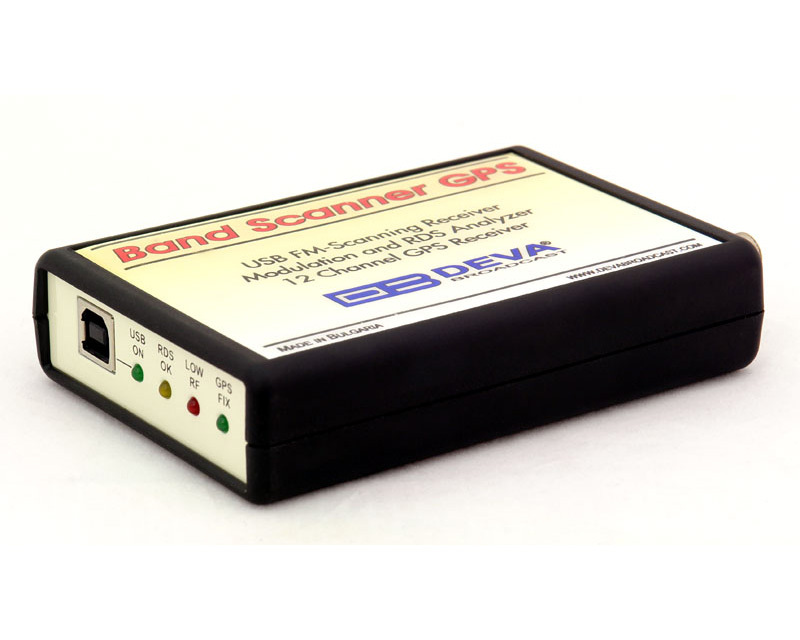 When running any campaign with the "Band Scanner GPS", results will be saved in a Log file. 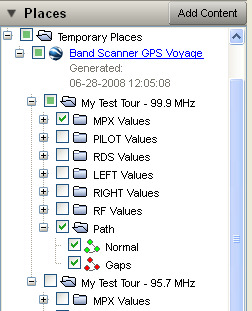 "Band Scanner GPS" can then convert this file into KMZ format an view the results in Google Earth. 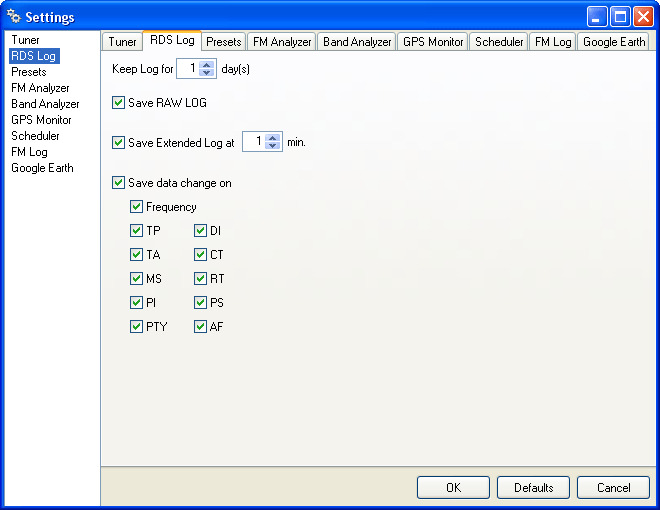 The Log file can be exported also as transitional format for future analyze or to keep it in record. 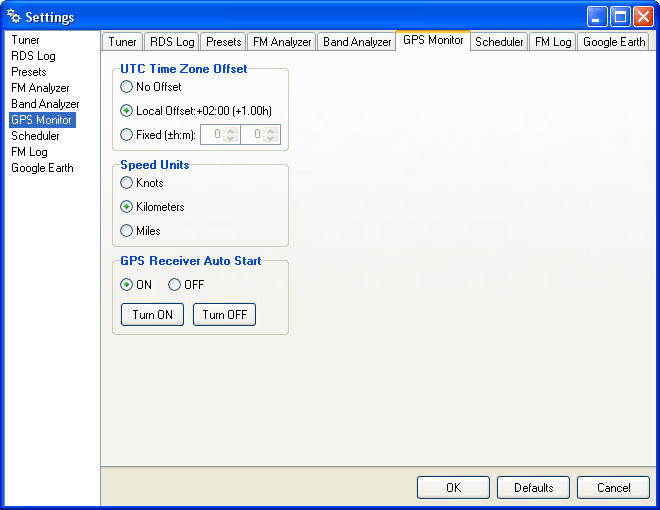 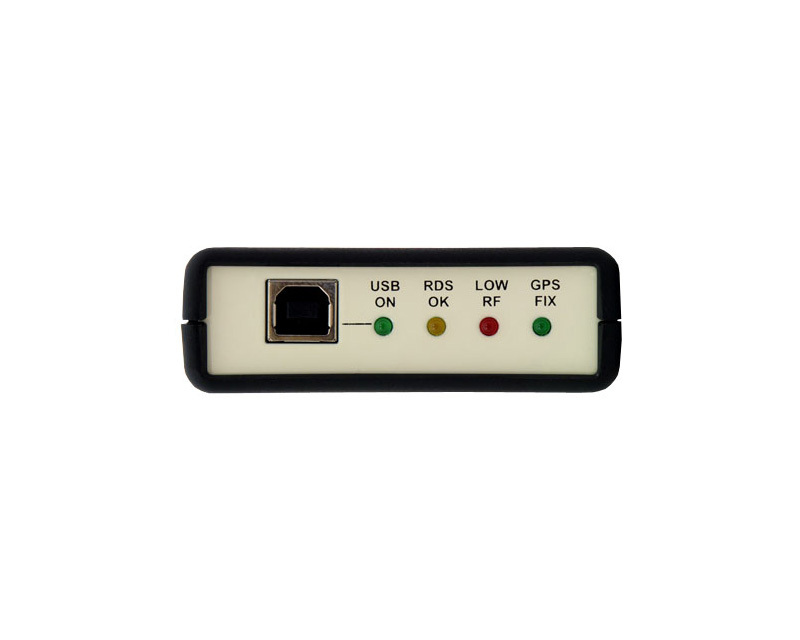 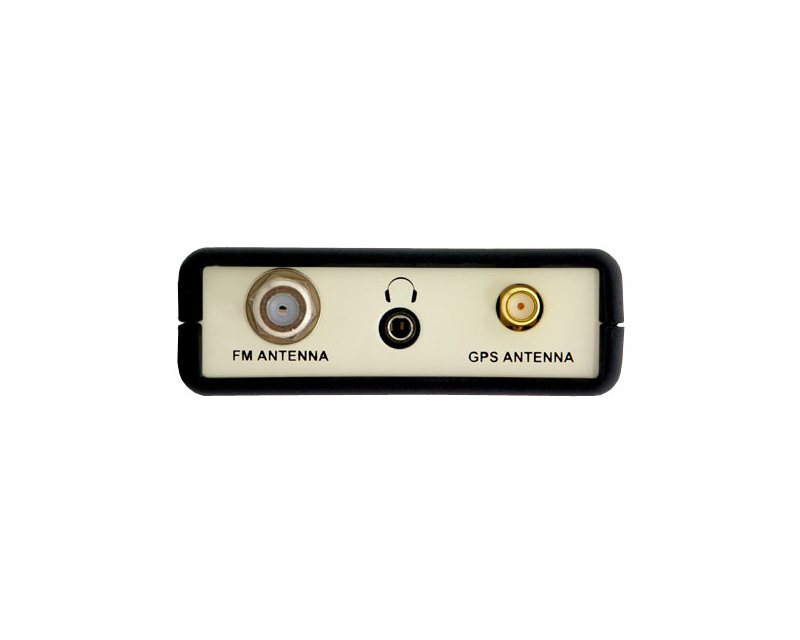 The "Band Scanner GPS" can measure RF level, MPX deviation, Left & Right Audio levels, RDS and Pilot injection levels. 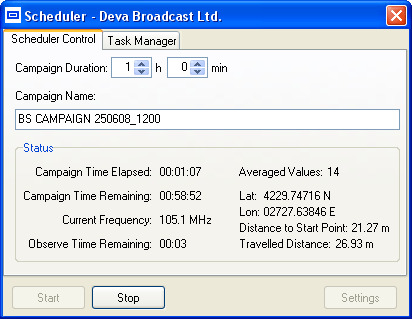 The system is powered by the USB port of any Windows PC. 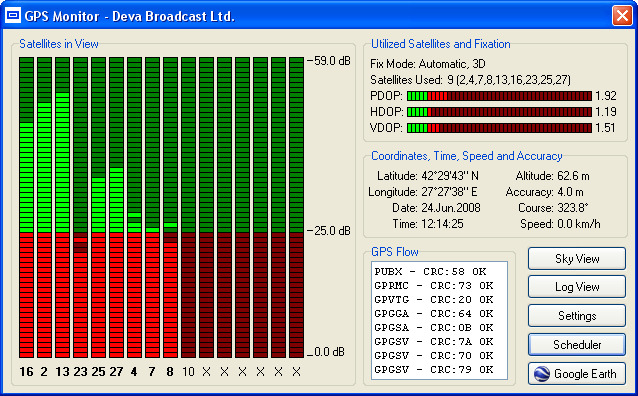 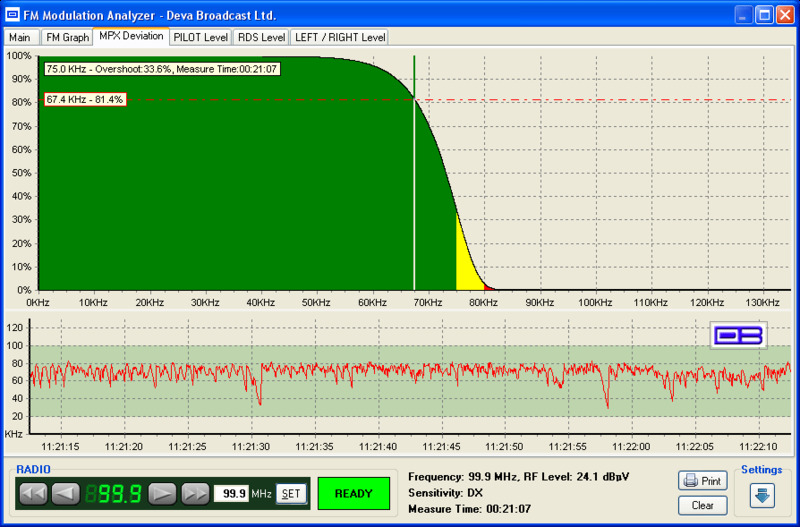 Supplied free of charge Windows software sweeps the receiver across the FM band, logging every carrier and generating a spectrum display of carrier level vs. frequency. 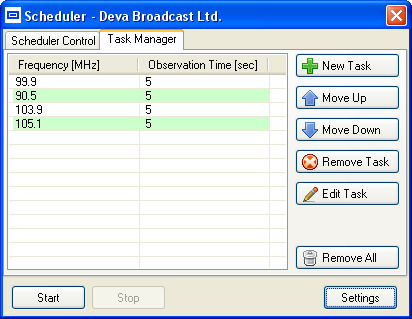 It then analyzes each carrier and creates a station list. 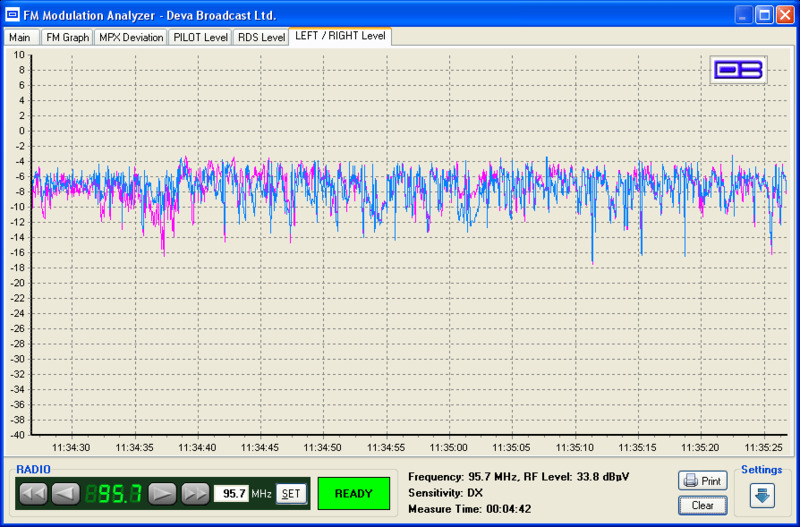 Stations with an RDS presence are further refined to show all the radio data groups being transmitted. 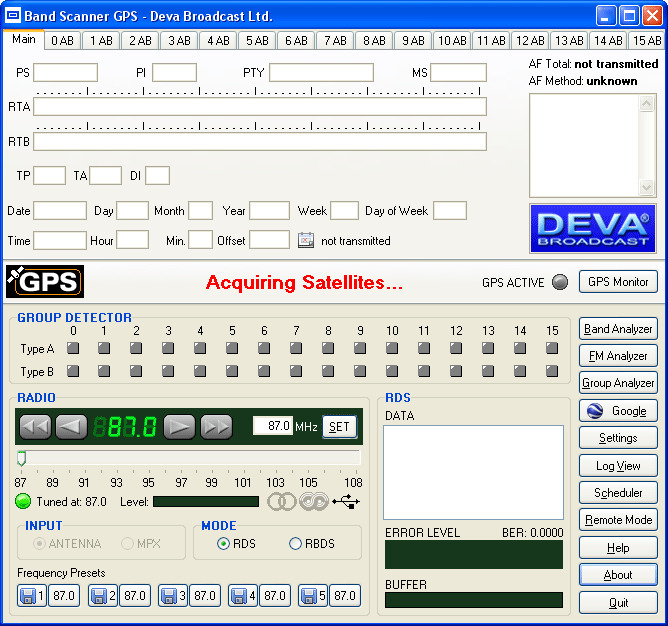 Its interface is like a portable radio: It may be tuned manually through the receiver screen or by double-clicking a point on the spectrum plot or an entry on the station list. 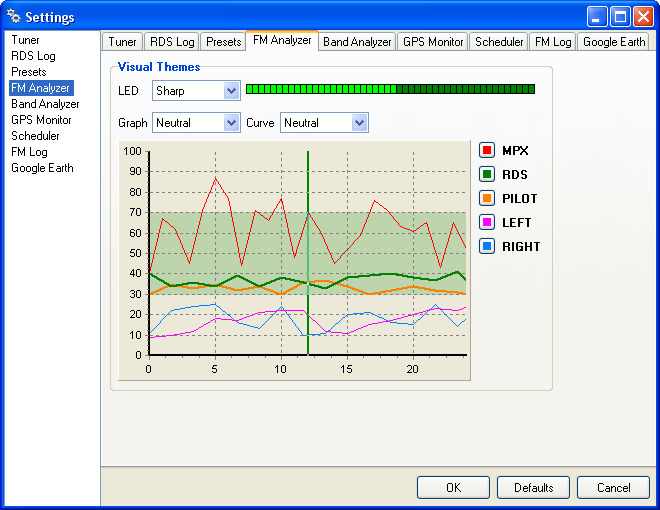 Spectrum plots may be saved as jpg or bmp files. 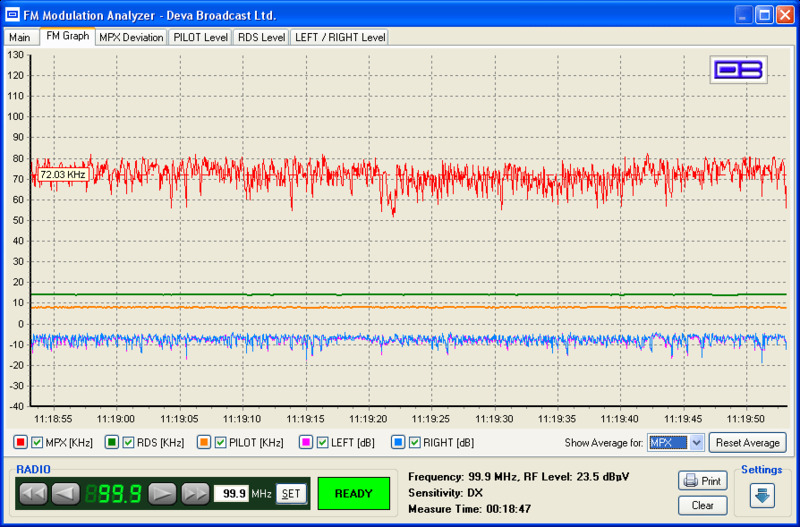 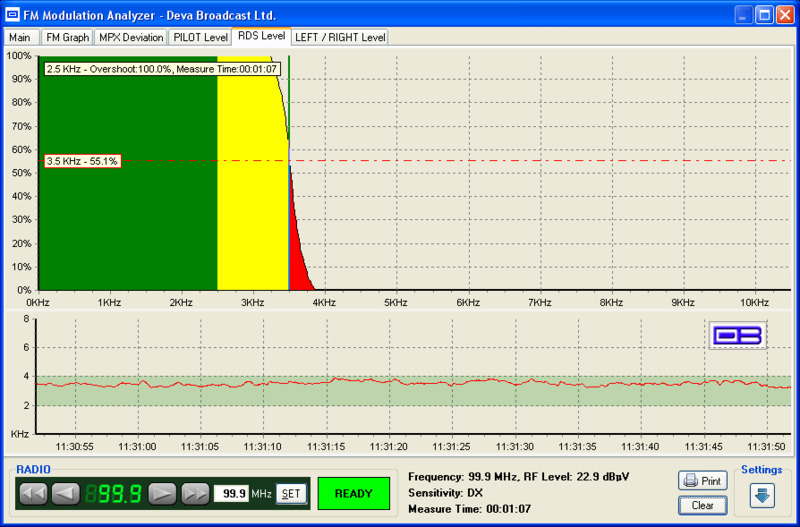 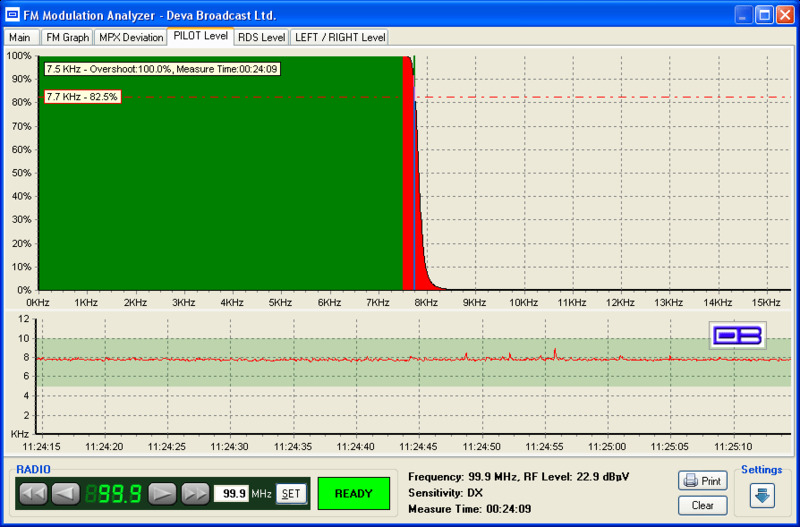 The RDS data error level is graphed in a separate window on the receiver screen. 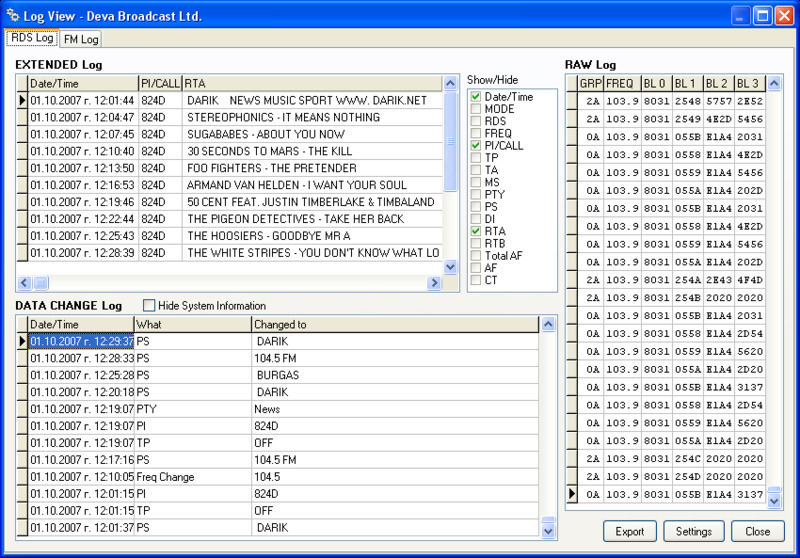 The program can be monitored with headphones plugged into a standard 1/8" jack. 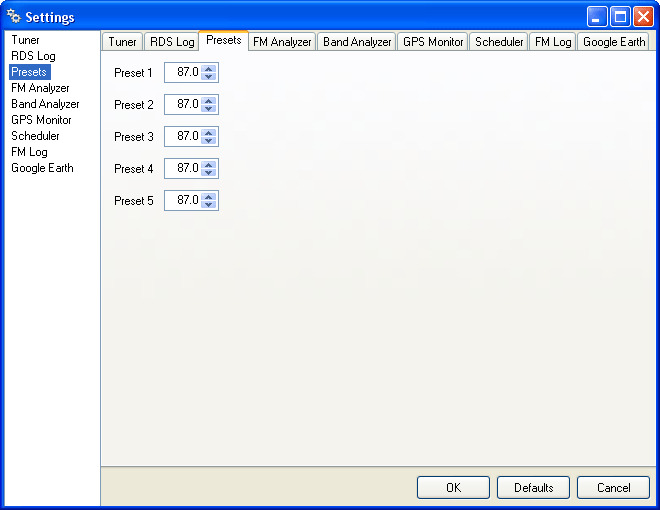 This is a tool to evaluate FM broadcast band congestion and to log station identification parameters. 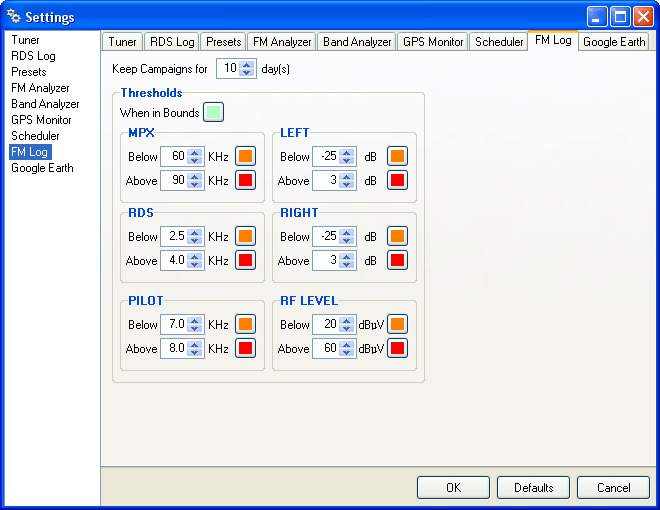 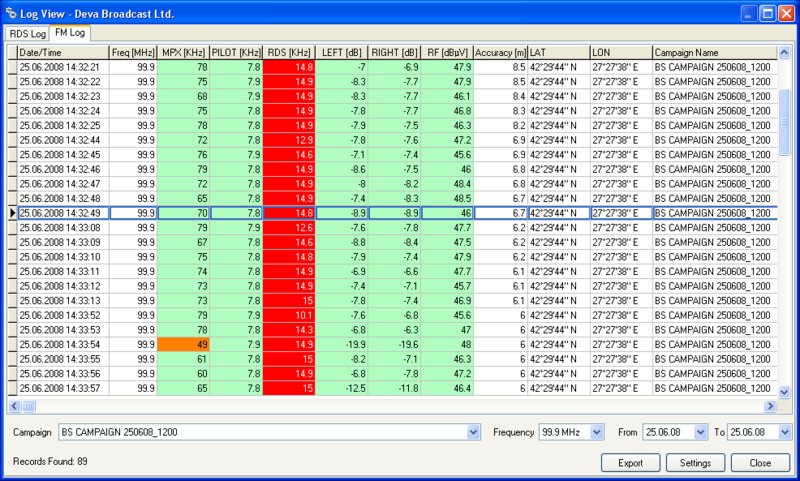 The "Band Scanner Pro" can measure RF level, MPX deviation, Left & Right Audio levels, RDS and Pilot injection levels. 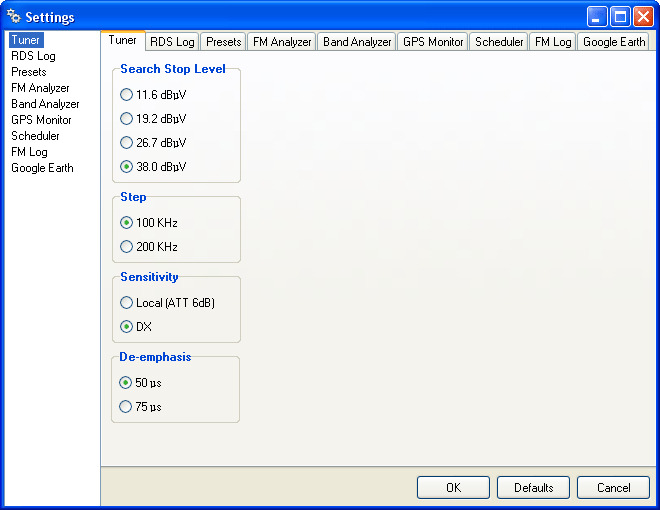 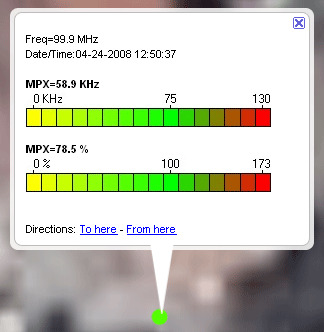 Radio Explorer is a multifunctional, easy to use tool, designed to evaluate FM broadcast band congestion and to measure and store all of important radio broadcast parameters in a Log file. 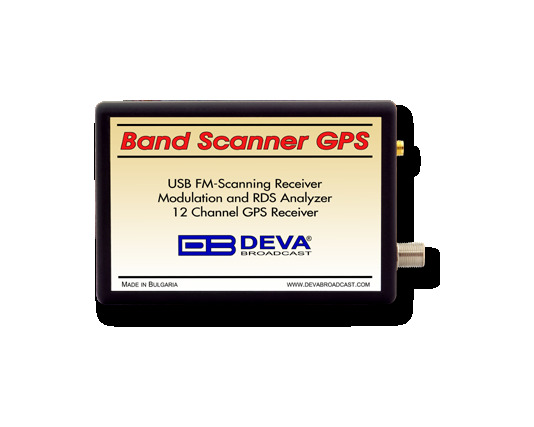 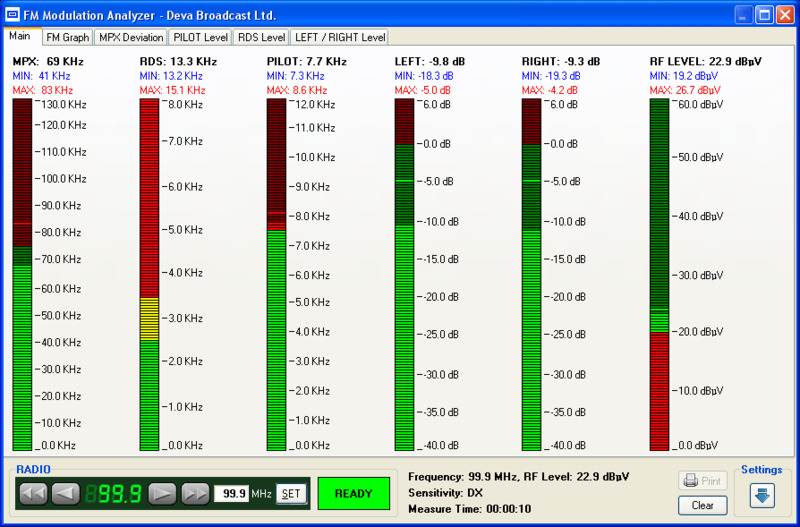 Band Scanner 2 - The latest DEVA FM Monitoring tool, marking the sensational comeback of the original Band Scanner in an upgraded, more versatile version that combines the functionality and parameters of several of their best-valued and best-selling products.